Looking for cheaper car insurance? Our customers told us they saved an average of $206† on their premium by switching to us. Save by restricting your policy to drivers over a certain age: 21+, 25+, 30+, 40+, 50+ – the biggest age range of any major insurer‡. If your brand new car is written off within two years or 40,000km of the original registration (whichever comes first), we’ll replace it with a new one (Gold Comprehensive). You can lodge a claim over the phone or online at any time of the day or night, 365 days a year. Winner of Canstar’s Outstanding Value Car Insurance award for a record 12 years in a row (2007 to 2018). A 4.2 out of 5 stars claims service, based on nearly 5,000 customer reviews collected by Bazaarvoice, a leading independent ratings provider. If your car is involved in an accident and can't be safely driven, we will pay the reasonable cost of towing your car. If we agree to pay your claim for a no fault accident or theft of your car, we will provide you with a hire car for up to 14 days. Terms, conditions, limits and exclusions apply. For full details, please read the product disclosure statement. Covers loss or damage to your vehicle due to an accident, theft, severe weather, malicious damage, and fire; and your liability for accidental damage your car causes to other people’s property. Covers your liability for accidental damage your car causes to other people’s property, including their vehicles. Provides the same cover as Third Party Property, with extra protection against loss or damage to your vehicle due to fire and theft. ‘Green slip’ insurance protects New South Wales residents against compensation claims made against them for injuring or killing someone in a motor-vehicle accident. The best car insurance isn't the same for everyone. Compare our cover and choose a policy that meets your needs. Make one claim per year or two claims in a three-year period without affecting your discount – even if the accident was your fault. Get a hire car for up to 14 days, while your car is being repaired, if it is damaged in an at fault accident. Hire car following a no fault accident or theft are already covered as standard benefits. Reduce your excess for damage to your vehicle’s window glass, including windscreen, to just $40. If you have a claim with us you can nominate your preferred repairer. Terms and conditions apply. Please read the product disclosure statement for full details. How do I add an optional benefit to my policy? You can add one or more of these benefits when you get a quote and buy a policy or – if you’ve already bought one – by contacting us or logging into your online account and editing your policy. For just $79.95 a year – less than $1.60 a week – you can take advantage of our 24/7 nationwide Roadside Assistance service. It can be purchased with or without a Budget Direct car insurance policy. With our Australian network of more than 2,500 contractors, you’re never too far from help. Get a car insurance quote online – it takes just two minutes. If you buy online, you’ll receive a 15% discount on your comprehensive or third party insurance premium. If you’re a Budget Direct customer, we’ll warn you via SMS of hail storms approaching the address where your car is normally kept. This award-winning service, Hail Hero, is exclusive to customers throughout Australia. Use our Comparitron™ tool to compare car insurance savings reported by our customers throughout Australia. After comparing the cost and features of over 60 comprehensive policies offered by more than 50 insurers, Canstar selected us the National award winner for Outstanding Value Car Insurance in 2018 — a record 12th year in a row we've won the award. We also won Money magazine's Best of the Best 2019 title for Car Insurance; and a Mozo Experts Choice 2018 Exceptional Value Car Insurance award. To cap it off, the Australian public voted us the Silver Winner in the Car Insurance category of the 2019 Reader's Digest Quality Service Awards survey. If you need to make a claim, we’re here to help you get back on the road as quickly and smoothly as possible. Make a claim on your car insurance policy. Comprehensive covers the loss of, or damage to, your vehicle due to an accident (regardless of who’s at fault), vandalism, fire, weather, and theft. It also covers damage caused by your vehicle to other people’s property (e.g. their car and home). Third Party Property covers damage caused by your vehicle to other people’s property (e.g. their car and home). It does not cover damage to your vehicle (unless it’s damaged in a no-fault accident with an uninsured driver, in which case you have limited cover). Third Party, Fire and Theft provides the same protection as Third Party Property plus cover for loss or damage to your vehicle if it’s stolen or catches fire. Compulsory Third Party (CTP) all Australian motorists must have this by law. It covers claims made against you for injuring or killing someone in an accident. CTP does not cover damage to your vehicle or other people’s property (e.g. their car and home). Budget Direct offers CTP, or ‘green slip’ insurance to NSW residents only. The type of cover you have is shown on your car insurance certificate. How much can I insure my car for? With Budget Direct, you can insure your car for its market value or, in some cases, for an agreed value. Market value is the reasonable cost to replace your vehicle with one of the same make, model, age, mileage and overall condition. To get an idea of what your car may be worth, search for it in the Red Book or on car sales websites. Please note that the prices provided by these sites are only meant to be a guide. Your car's market value will be determined by us at the time of the loss or damage. the agreed value is within an acceptable range of the market value. The value for which your car is covered is shown on your insurance certificate and in your online account. Which drivers must be listed on my policy? Any non-household members who drive the car are automatically covered. If you list them on your policy, you’ll avoid having to pay the unlisted driver excess (other excesses may apply). By not insuring unsafe drivers, we can keep our car insurance premiums low for safer drivers like you. Select the right level of cover. 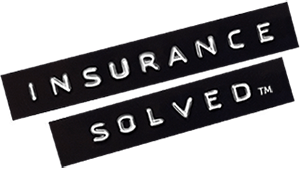 Do you need comprehensive cover for your car, or would third party property insurance be enough? Set a driver-age restriction. You can get a lower premium by restricting your policy to drivers over a certain age (21+, 25+, 30+, 40+, 50+). Increase your excess. If you’re comprehensively insured and you increase your Basic Excess, we’ll reduce your premium. Maintain a good driving record. For each claim-free year, you’ll receive a no claim discount (NCD) on your premium; the NCD is capped at 5+ years, at which point we’ll give you a Rating 1. An excess is the fixed amount you pay towards a claim for damage to, or loss of, your vehicle. For example, if your excess was $600 and your damage bill $3000, you would pay $600 and we would pay $2400. You won’t have to pay an excess if the accident is deemed a no-fault accident. Give way rules - Who goes first? ^Online discount terms and conditions apply. *Based on a survey of Budget Direct Car Insurance customers conducted between 10 February 2015 and 31 December 2018. Visit www.budgetdirectreviews.com.au for more details. ‡The 50+ age bracket applies only to policies purchased after 2 July 2017.